Antidepressant Medications to Combat SAD – What Are The Risks and Side Effects? Besides all unpleasant features that this disorder brings, beating the winter blues is also a challenging task because of the side effects of the drugs used in the treatment. Medications used to combat SAD belong predominantly to antidepressants, which encompass a wide spectrum of different medication. Their side effects are an important cause of bad compliance of the patients suffering from winter blues, therefore great efforts have been made in the past decades in order to improve the drug design. The strong selectivity for certain receptors in the brain is a key factor that determines the side effects of any antidepressant. New generation antidepressants have great properties and are very selective, giving that they affect the concentration of one, two, and very rarely three substances in the brain tissue. For example, selective serotonin reuptake inhibitors (SSRIs) affect serotonin levels only, while serotonin – norepinephrine reuptake inhibitors (SNRIs) affect the levels of serotonin and norepinephrine. Side effects of SSRIs are more intensive at the very beginning of the treatment, but they seem to lower gradually as the organism gets used to medication. Some of the most common side effects of SSRIs are: generalized feeling of illness, erectile disfunction and sexual performance problems, lightheadedness, dizziness, sweating, difficulties falling asleep, diarrhea or constipation. These and similar side effects affect around 10% of persons taking SSRIs. There are also less common side effects which affect around 1% of the patients such as concentration problems, hallucinations and weight gain. Serotonin syndrome is a very rare condition which appears as a result of high levels of serotonin and is often caused by taking antidepressants in higher doses than recommended or by taking multiple antidepressants without consultation with a health care provider. Symptoms of serotonin syndrome vary from mild confusion to arrhythmia and seizures. Suicidal thoughts have also been reported in certain number of patients. Similar as with SSRIs, side effects of SNRIs are usually mild and they decrease with the progress of the treatment. They often include dizziness, tiredness, sweating, and nausea. It is also noticed that SNRIs cause sexual disfunction as well as SSRIs. Old generation antidepressants such as tricyclic and tetracyclic antidepressants and MAO inhibitors are almost abandoned for the treatment of winter blues because of a broad range of side effects. In fact, many people cannot tolerate these medications at all. 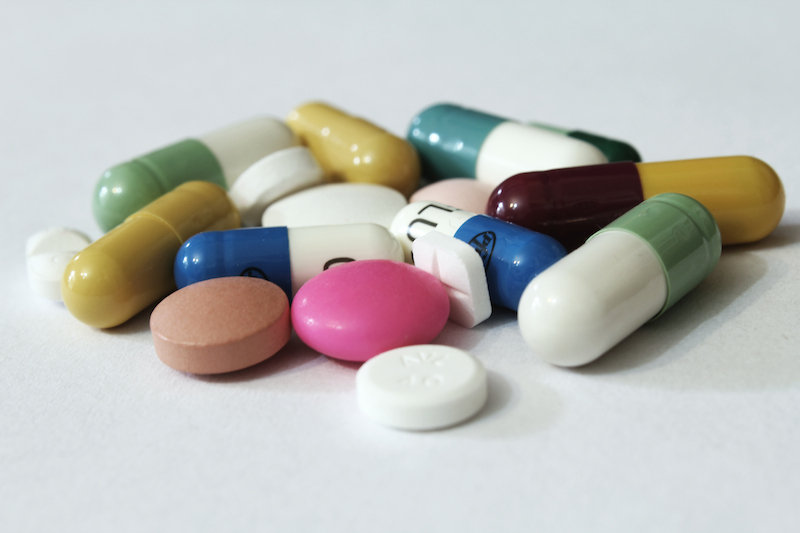 According to studies, the most common side effects of tricyclic antidepressants are dry mouth, blurred vision, headache and drowsiness, but it has been shown that they can contribute to more severe events such as stroke and heart attacks. From the information above, we can conclude that all antidepressants can provoke side effects, but the advantage should be given to newer, selective antidepressants such as SSRIs and SNRIs, rather than to tryciclic antidepressives, in order to lower the risk of unwanted events. Did you enjoy this post? Sign up for our newsletter to be informed about new articles! Ferguson, J.M. (2001). SSRI Antidepressant Medications: Adverse Effects and Tolerability. Prim Care Companion J Clin Psychiatry. 3(1):22-27. Giuliano, F., Droupy, S. Sexual side effects of pharmacological treatments. Prog Urol. 23(9):804-10.